But, aside from all the chemical of chocolate, most of us simply love it for the taste. Chocolate, particularly good chocolate, has a melt-in-your-mouth quality that is just amazing, especially as it is combined with the taste of chocolate. However, if you love chocolate, then chocolate itself is just one approach to take. 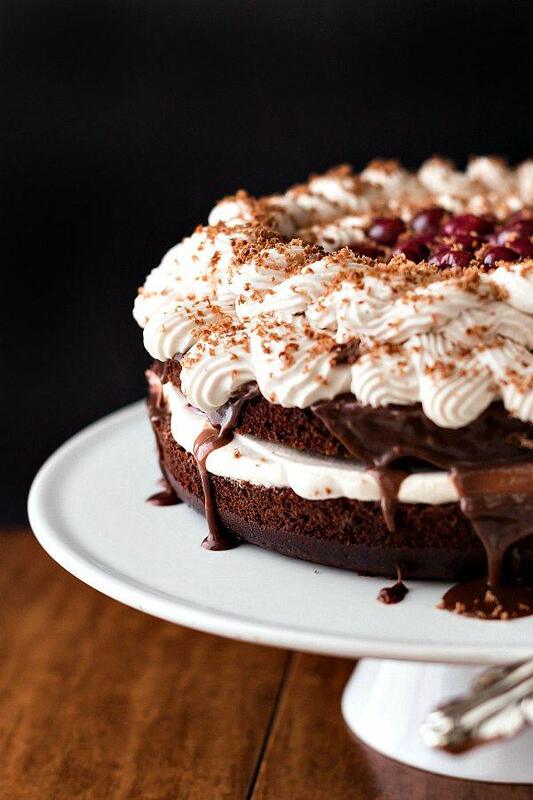 After all, chocolate can be an amazing ingredient in cooking and it is one of the key reasons that desserts are so popular to start off with. So, if you love chocolate, you're really going to like this list which is all about recipes that are just packed full with chocolate. Most of them look amazing and would be fun options for getting your chocolate fix. A lot of people really love bread pudding, so why not go all the way and put chocolate and caramel in the mix too? This recipe from momontimeout.com does that and manages to make something that also looks fantastic on the plate. In fact, this is a good recipe to try even if you don't like bread pudding, because often people start off trying really bad versions of bread pudding. You can't know whether you like a dish or not until you have had a good version of it and this recipe would be a great place to start. Visually, this bundt cake is stunning and the choice of colors and toppings seems to work together so well. The recipe actually comes from a site called gooddinnermom.com and the creator notes that it is an especially fun one to make with kids. This recipe is also interesting, because it is one of those recipes where the toppings end up being as important as the cake underneath. Chocolate cake is one of my personal favorites when it comes to chocolate desserts, but I often find it difficult to get a cake to turn out exactly the way that I want it. This recipe from pastrychefonline.com is a good choice if you have that problem and the layers on the cake help to ensure that you get a perfect result each time. Visually, this cake also manages to be pretty stunning and I can easily imagine serving the cake to a room full of people at some type of event. 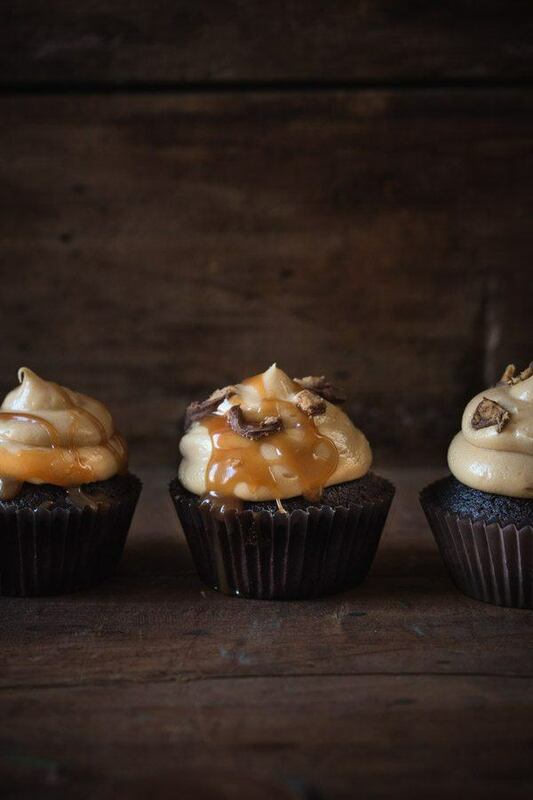 The salted caramel trend has become a pretty big thing, so finding salted caramel brownies didn't surprise me at all. In this case, the recipe comes from bromabakery.com and you have to admit that they do look pretty amazing. 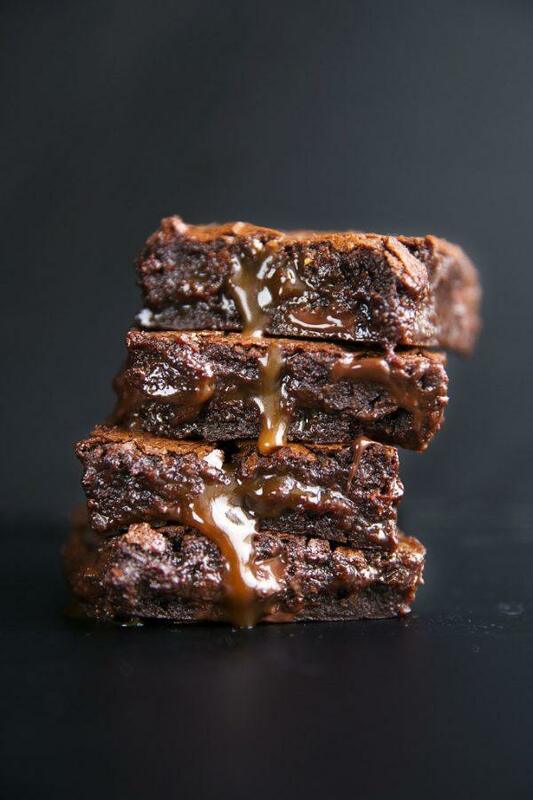 Using sauce when you're making brownies isn't that common but the approach makes a lot of sense. 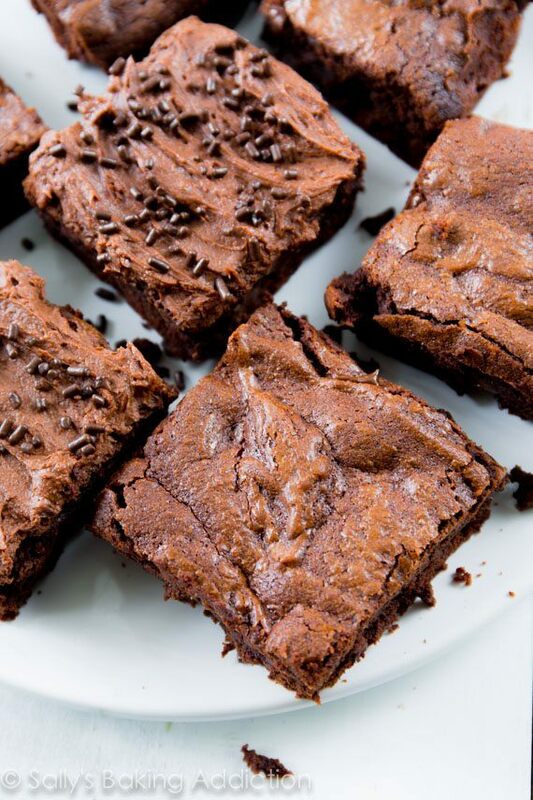 This would help to make sure that you end up with brownies that are nice and moist while also having lots of flavor. If you love the flavors of snickers, then this snickers cake should be especially appealing. The recipe comes from sixsistersstuff.com and it certainly is a popular cake. 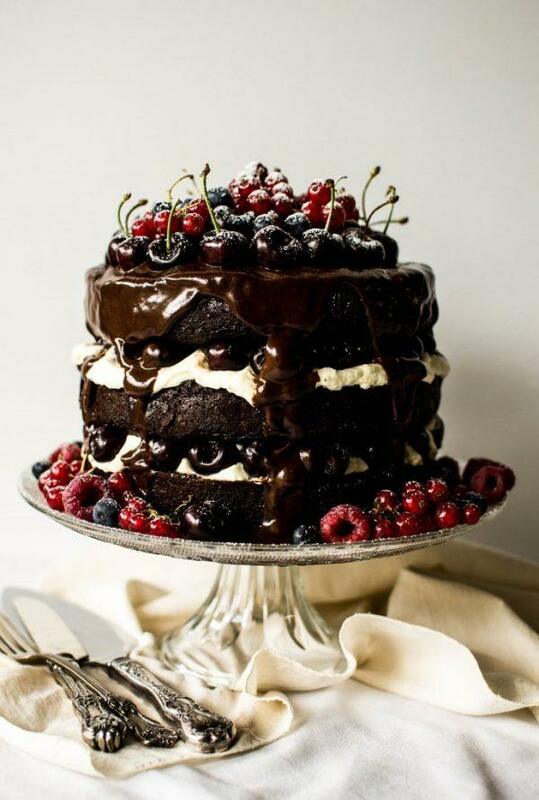 Personally, I like the idea of this cake because it is a bit different than your standard chocolate cake in terms of taste but it is also extremely easy to prepare. I would recommend the recipe to anyone who likes shortcuts when it comes to making cakes, as well as anyone who wants to make something that is somewhat unusual. I swear, cookie dough often ends up being more popular than cookies, even though you shouldn't really be eating actual cookie dough. Of course, this recipe from omgchocolatedesserts.com is using a variation on cookie dough, so what you end up with is entirely safe to eat. 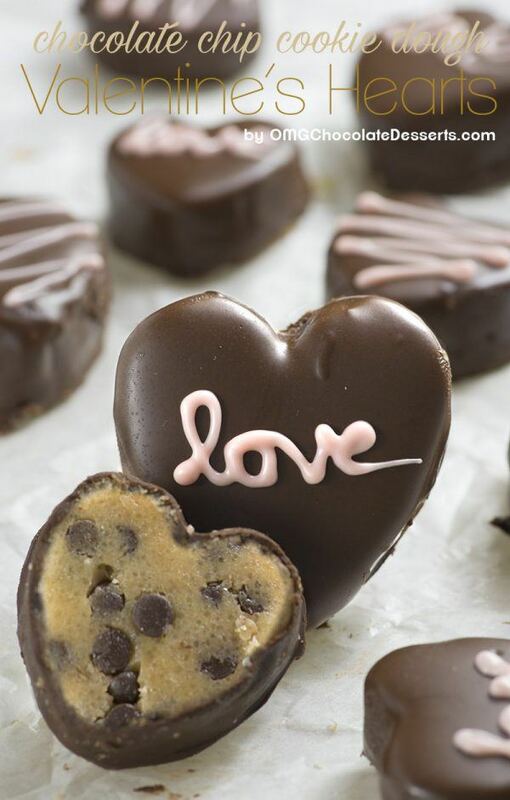 I love the idea of making little chocolate hearts out of these, especially as cookie dough tends to be especially popular for females. However, you could just as easily make other shapes if that was your preference. Chocolate can often be a topping for sweet crepes but why not make the crepes themselves chocolate, as this recipe does? The recipe itself comes girlversusdough.com and the author calls the recipe a perfect pairing, which I completely agree with. 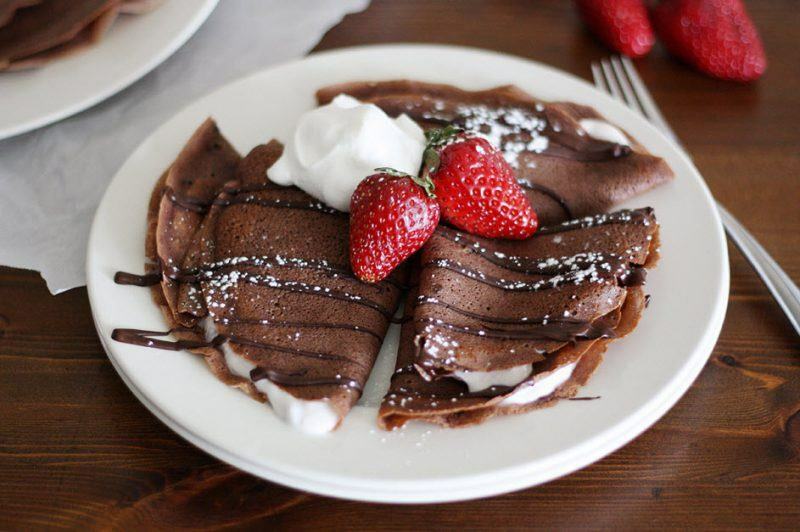 In this case, the combination of flavors is the chocolate in the crepes themselves and the strawberry yogurt that you see peeking out in the image. The choice of flavors means that this recipe would be perfect as a dessert but would go equally well as a breakfast dish. 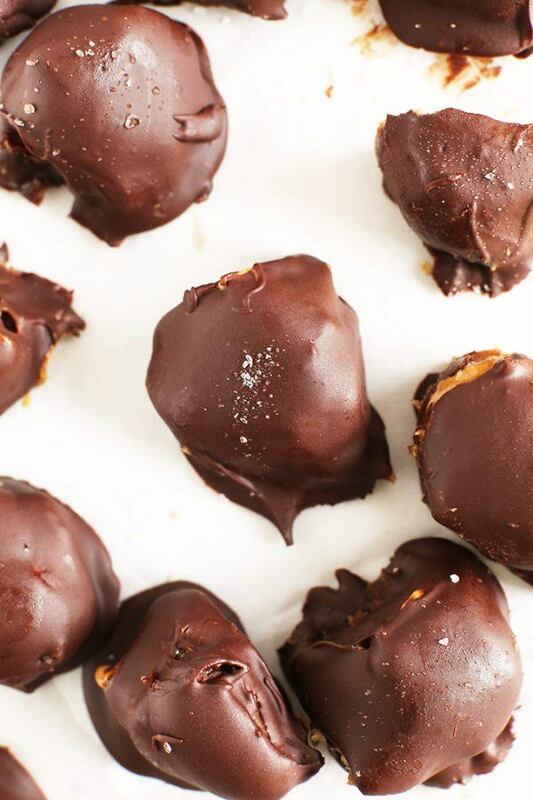 If you enjoy salted caramel or peanut butter then these gorgeous truffles might be the perfect choice for you. 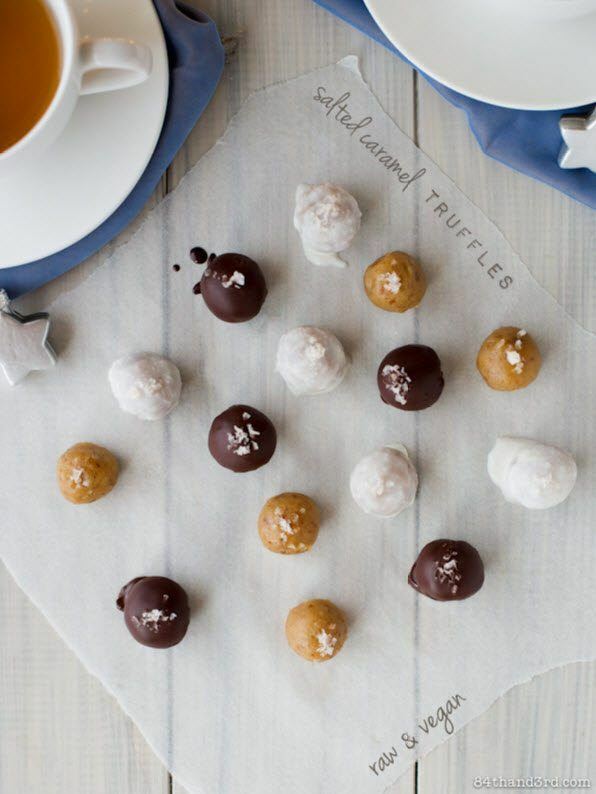 The recipe comes from minimalistbaker.com and the author focuses on the fact that these truffles really are simple to make. In fact, the recipe itself just uses five ingredients and the process of making them is pretty intuitive. It's also worth noting that the truffles are both vegan and gluten free, so they make for versatile treats. I've made brownies a number of times in the past but the idea of skillet brownies is a new one for me. 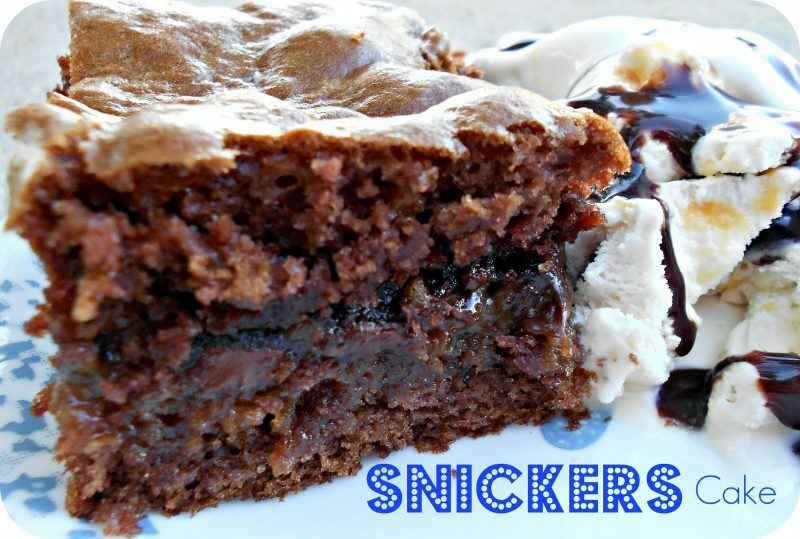 The recipe itself is really interesting, because you could essentially make it using any type of brownie mix (including a packet from the store or a recipe from a blog). So, with this recipe, you are taking the basic concept of a brownie and making it much more interesting overall. After all, the brownies in the image do look great and they would be a fun way to impress others. You can find all of the details that you need at iambaker.com. 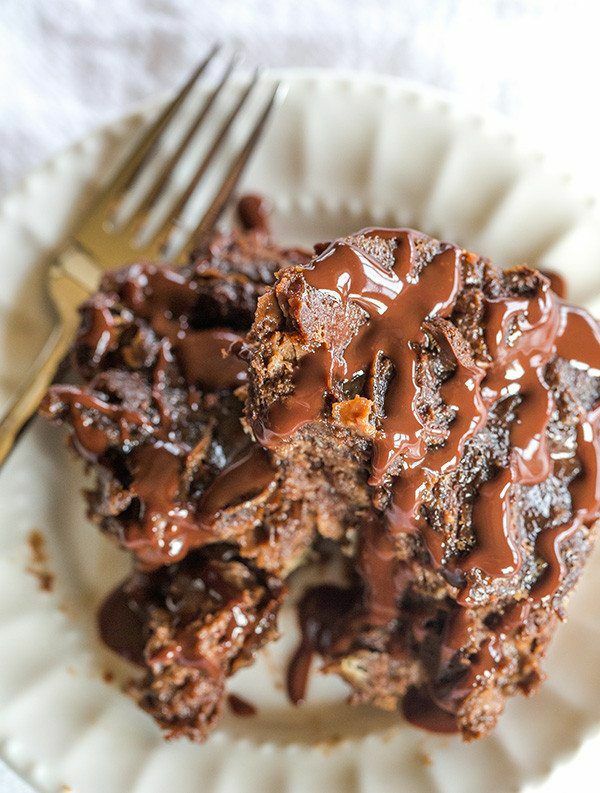 Chocolate can be a fun way to make a bread pudding that much more interesting and this recipe, from browneyedbaker.com is one example of how you can do just this. 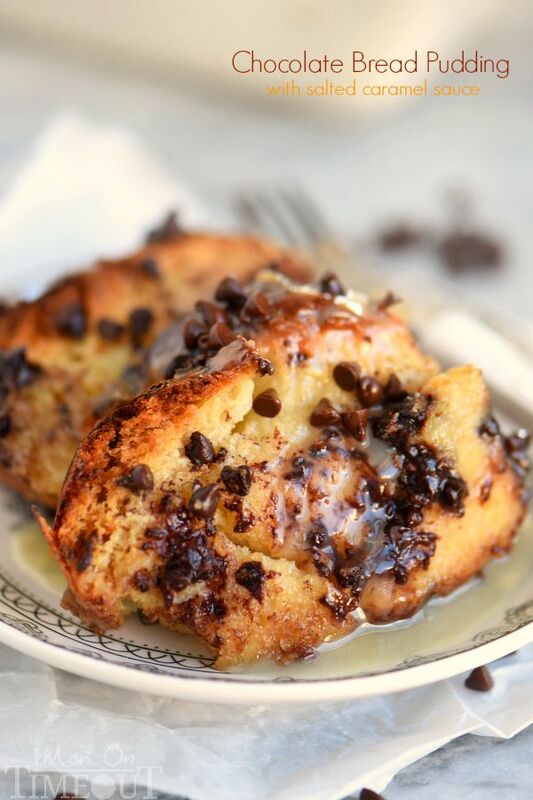 The recipe offers a good balance of sweetness, so the end result is a bread pudding that is nice and chocolaty without being excessively sweet. I find that goal particularly appealing because some desserts do end up being too sweet, which makes them less appealing. Chocolate pairs well with a number of other flavors and one of those, without a doubt, is mint. There is just something oh-so-right about chocolate and mint, which is why I was really glad to find this brownie recipe at boysahoy.com. There are actually two cool things about this recipe. The first is the mint and chocolate combination, and you can probably tell that I'm a big fan of this. The second thing is that these are also chocolate mousse brownies. This means that they have a layer of mousse above the brownie layer. This approach ends up working extremely well, especially as you end up with two different textures in the same brownie. As desserts go, truffles are a lot of fun. With a little bit of work you can include pretty much any flavor in a truffle recipe. Sometimes truffle recipes are just subtle variations of each other but sometimes you find truffle recipes like this one, which manage to be completely different. In this case, the recipe comes from a site called 84thand3rd.com and it is certainly different than most other types of truffles that you will find. 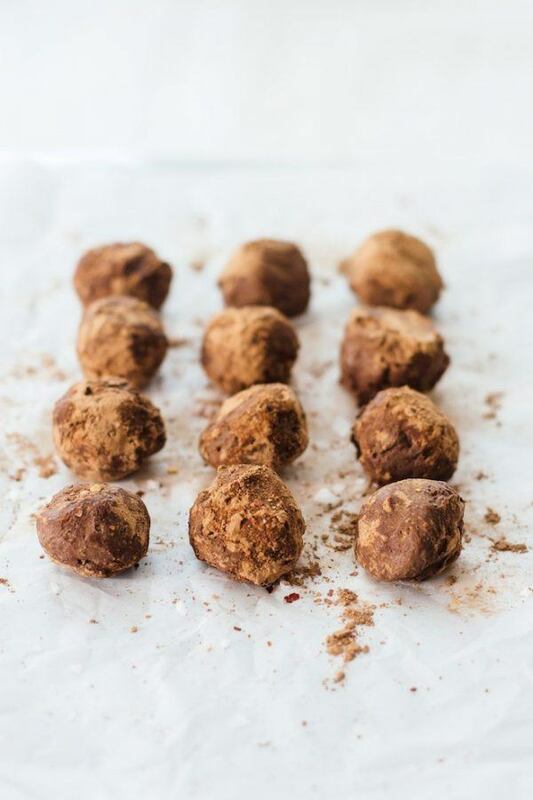 For one thing, the recipe uses different ingredients than most other truffles (which shouldn't be a surprise as the final products are both raw and vegan). At the same time, the truffles are also made using only a few ingredients, which does mean that they are fairly simple to prepare. One interesting thing about these truffles is that the chocolate flavor actually comes from one of the topping variations. However, I thought the recipe itself was interesting enough to include, especially as chocolate lovers may well choose to use that particular topping variation for all their truffles. The author actually provides a separate recipe for this chocolate topping and you could also use that topping for other purposes if you wanted to. This recipe is a little bit different than most of the other ones that I've featured here because chocolate is just one of the flavors included. But, I was particularly taken by the recipe because the finished product ends up with this gooey and chocolaty espresso layer. To me, the very nature of that layer represents much of the reason that I find chocolate so appealing to start off with. 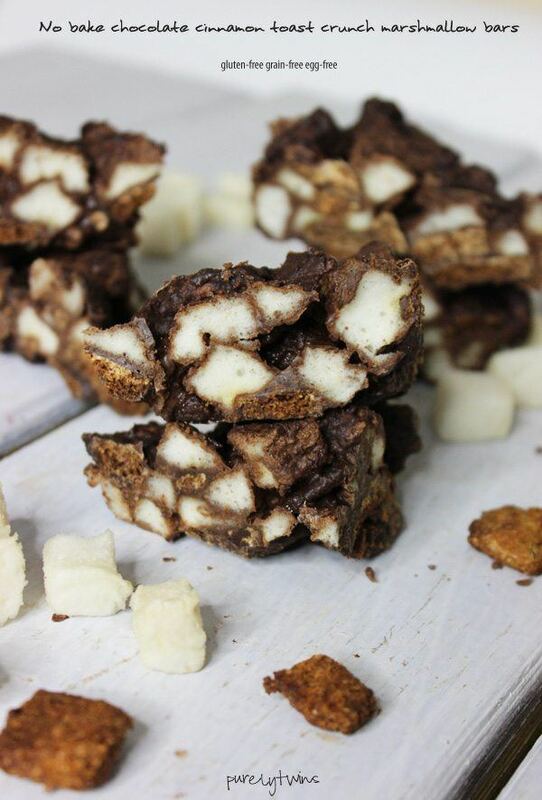 The recipe for these bars comes from ambitiouskitchen.com and you could probably use the bars as a dessert or as a sweet treat during the day. I've mentioned cake a couple of times already but you have to admit that this particular cake is especially stunning. The recipe comes from butterandbrioche.com and as you might imagine, it is a pretty decadent cake. It is also a bit of a boozy cake, as the cherries are soaked in kirsch liqueur. As you can probably judge from the image, the recipe itself is a bit complex to make, especially as there are multiple different components that need to be made. Even so, I think the recipe is probably simpler than most people would anticipate. With that in mind, this cake is certainly a perfect choice if you're looking for something to serve that looks amazing and tastes just as good. It's also worth noting that the recipe contains instructions for the different components (like the ganache and cream frosting) individually. So, you might find some of those components interesting in their own right. For example, chocolate ganache is pretty wonderful and has so many different uses. Chocolate and cinnamon is a flavor combination that actually works really well, although it tends to be less common than you might expect. This recipe, from purelytwins.com, takes advantage of those flavors extremely well. The bars are also pretty fun visually and it is kind of nice to make something that doesn't look even and perfect. 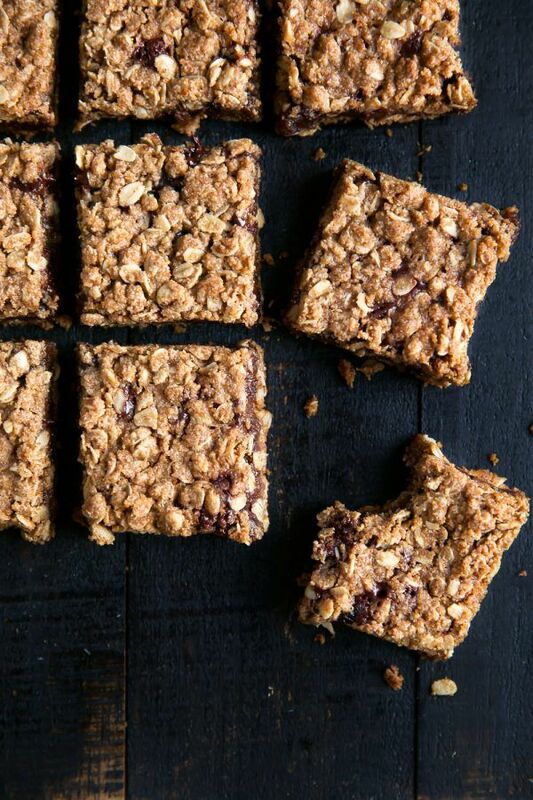 The recipe here is actually exceptionally simple and you may find yourself making (and eating) the bars far more often than you should because of this. 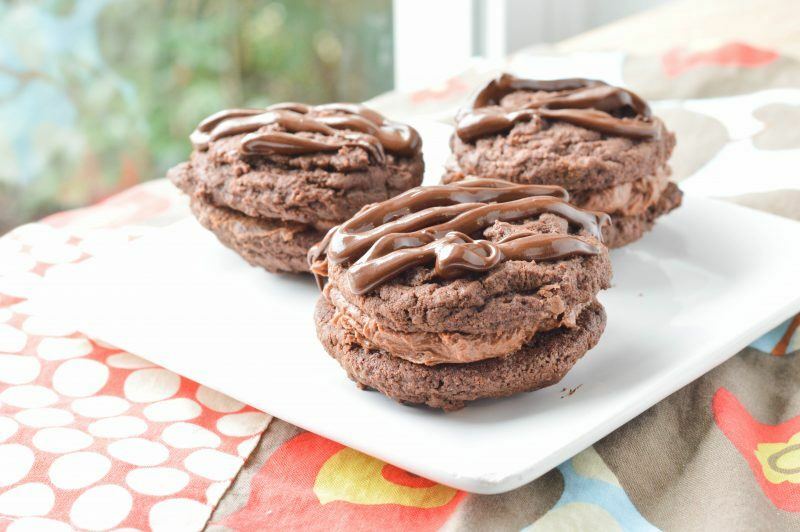 Another classic way to use chocolate is chocolate cookies, or in this case, double chocolate cookies. There are so many recipes out there for chocolate cookies, but I found these cookies from pinchofyum.com especially interesting. The main reason for this is that the cookies end up being thick and fudgy. Now, we do all vary in how we like our cookies but I personally love cookies that are soft and I'm not particularly fond of ones that are crunchy and crispy. So, for me, these cookies are absolutely perfect. If nothing else, they're a good choice if you want to make cookies that are a bit different than what you normally eat. Here's another example of a chocolate cake that is perfect for any chocolate lover. This recipe comes from abeautifulmess.com and the recipe is actually for a double-layered cake, even though this isn't evident in the image I picked to share. I think the combination of flavors and colors is really what makes this cake stand out because you end up with something that looks and tastes quite unique. 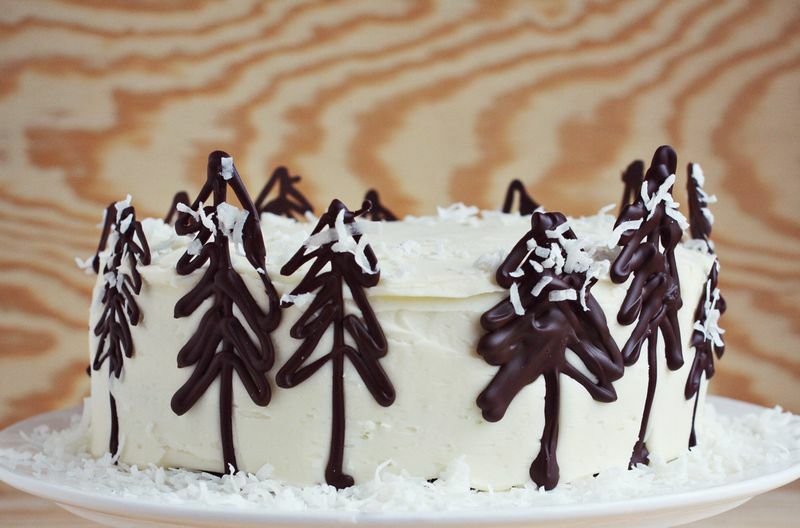 The trees around the edge are also a nice touch and the author of the recipe does offer directions for how to make these. One fun thing here is that each of the trees is different. That does help to make the cake look more personalized and more like something you made yourself. That's really a better end result than having a cake where everything is uniform. 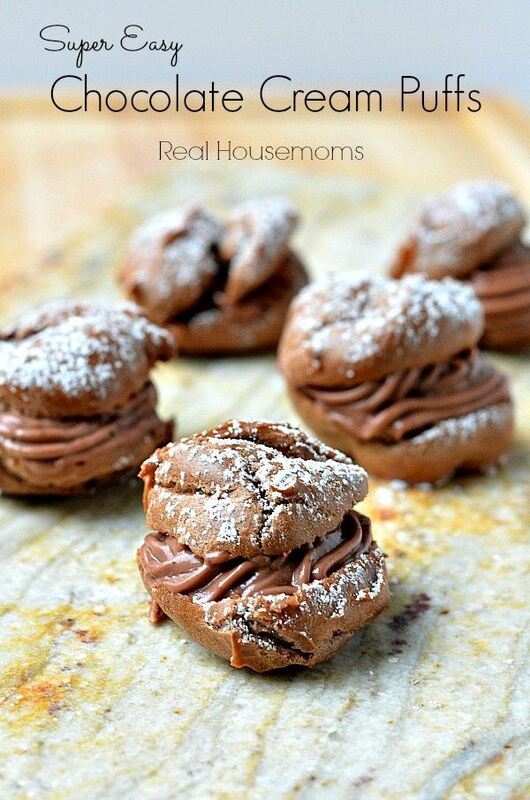 Chocolate puffs filled with chocolate cream, what's not to love about these little treats? The recipe, which comes from realhousemoms.com, provides all of the information you need to make the puffs and the filling that goes in them. In both cases, the recipe is pretty simple and is very easy to follow. In fact, this is a recipe that you could make even if you've never attempted cream puffs in the past. The author also provides two different ways to put the final recipe together, so you can pick whichever option you feel the most comfortable with. Many of us tend to turn to boxed mixes when it comes to making brownies. However, brownies made from scratch almost always end up much better. In fact, once you start making your own brownies this way, you'll probably never go back to making them out of a box. 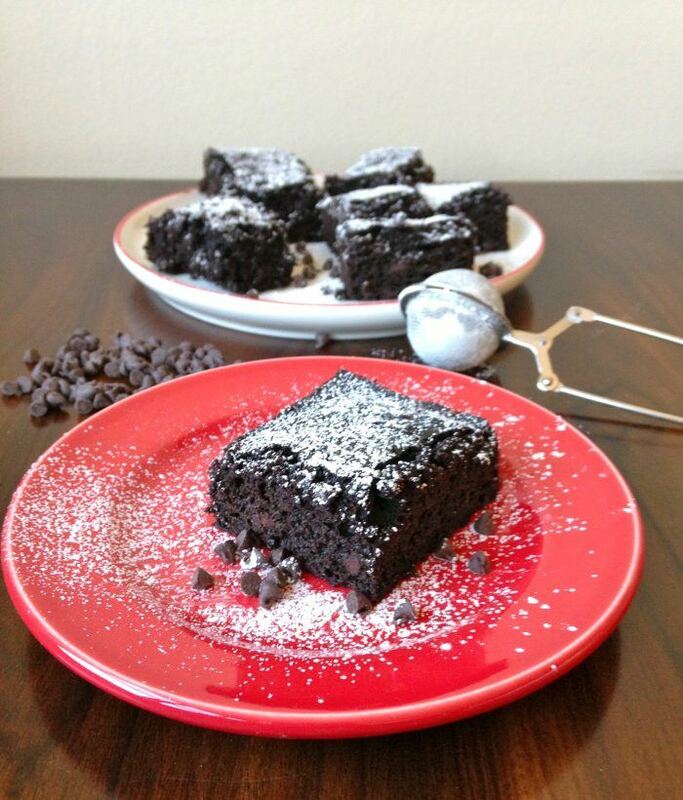 This particular recipe comes from sallysbakingaddiction.com and it is a perfect way to make great brownies. As the recipe creator notes, this certainly isn't a healthy brownie recipe. So, it's something that you might choose as a treat every so often but certainly not something you should be eating regularly. 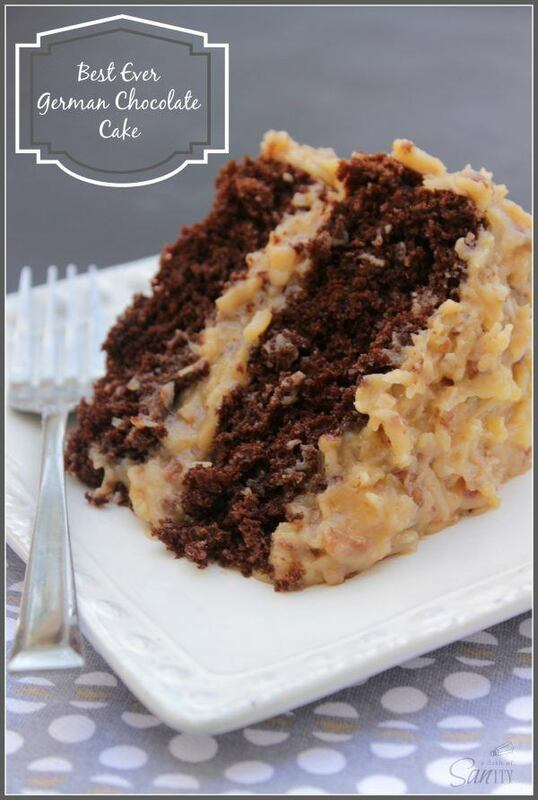 This chocolate cake is all about the frosting – which is where the German chocolate component of the name comes from. Essentially, the recipe is broken down into two components, one for the chocolate cake itself and the other for the frosting. You can find information on both of the components at adashofsanity.com. Visually, the combination of colors works well and I think this helps to make the cake stand out compared to most other chocolate cakes. You could also vary the amount of layers that you make with the cake, based on your pan size and how much you make of each component. 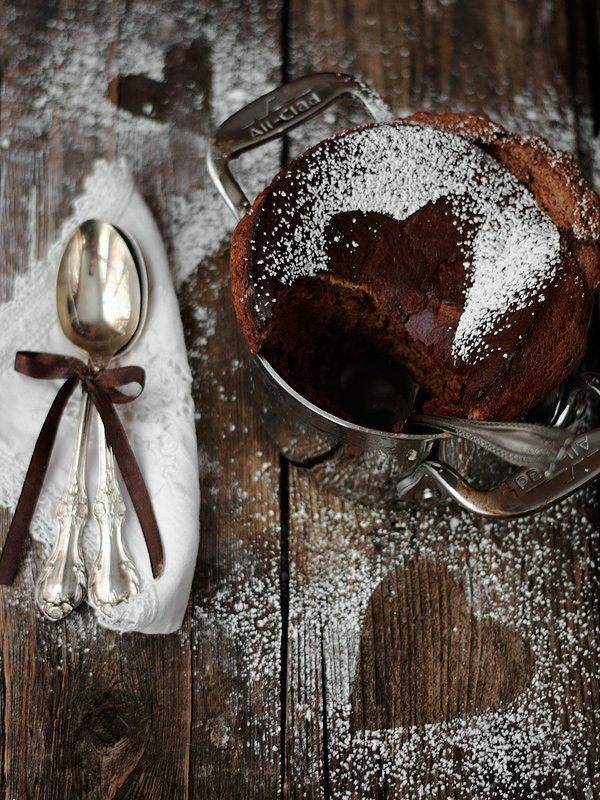 If you're a chocolate lover, then you really can't go past a chocolate souffle. As dishes go, souffles are a bit misunderstood, which is a pity. The author comments on this, noting that you can actually prepare a souffle in advance, despite popular belief. At the same time, souffles tend to be easier to make than most people assume. Plus, at the end of the day, a souffle will end up tasting good even if it does deflate a bit. If you're interested in giving this one a try, you can find the recipe and directions at seasonsandsuppers.ca. 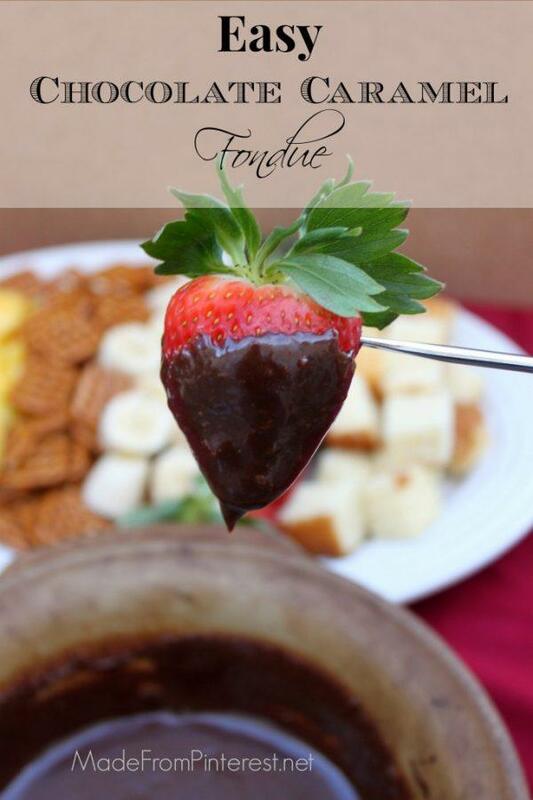 Fondue is a fun way to eat chocolate and it seems like something that every chocolate lover should try at least once. After all, there are so many different things that you can dip in fondue and it is an absolutely perfect food for Valentine's day or for a small group of people. This recipe comes from madefrompinterest.com and it has the advantage of being exceptionally simple to make. In fact, it only takes four ingredients and can be made in the oven or in the microwave. The instructions for cooking also mean that you can make and serve this fondue without needing a specialized fondue pot. That's great for anyone who doesn't make fondue regularly. Most of the items on this list are fairly decadent ways to eat chocolate. That's fine as long as you don't have treats like that too often. But, if you are trying to watch your calorie intake, this chocolate cake from chezcateylou.com may be the way to go. The recipe itself is fairly simple to follow and you end up with a treat that looks a bit like a chocolate brownie but has the taste and texture of a chocolate cake. The choice of ingredients makes this chocolate cake healthier than most and the cake still ends up tasting really good. This particular recipe might not look stunning but looks can often be deceiving. 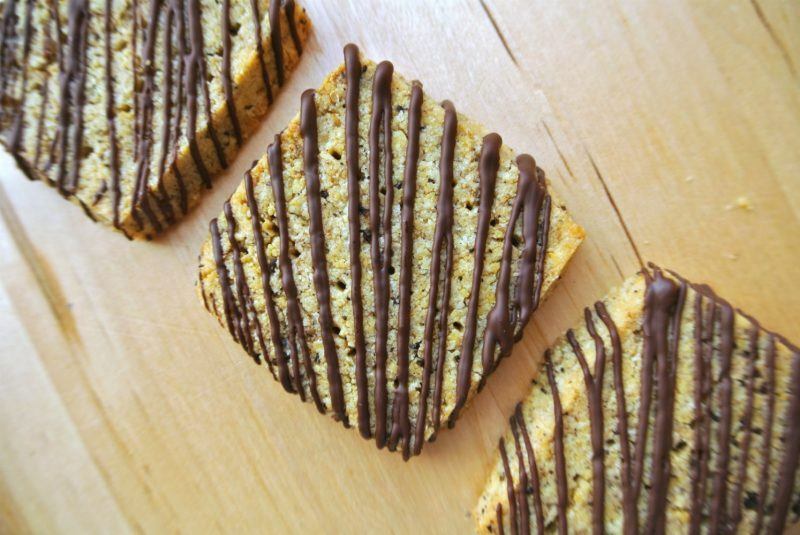 In this case, you end up with buttery shortbread cookies that have a mocha overtone. The recipe also manages to be low carb, sugar-free and gluten free, which is fairly impressive for cookies. The recipe comes from margeauxvittoria.com if you're interested in checking the recipe out and possibly having a go at it. The creator also notes that you can freeze the cookies. That might be particularly appealing if you make too many or simply don't want to eat a lot of cookies at once. 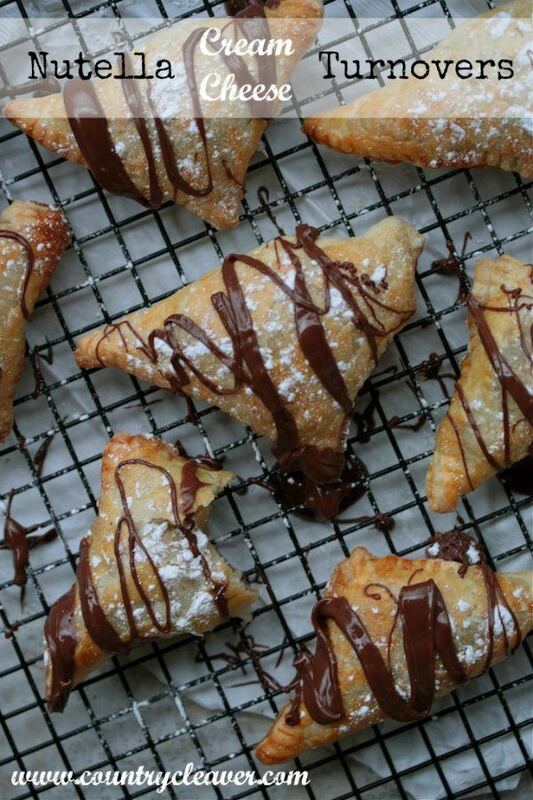 If you love chocolate then these turnovers probably look amazing already. For me, one of the most appealing things about a turnover is the puff pastry, which seems to melt in your mouth. However, this recipe makes turnovers so much better, by making they gooey and chocolaty. Needless to say, these treats aren't particularly healthy and might be better as a dessert than a breakfast. But hey, sometimes an unhealthy treat is exactly what we need. If you like the look of these turnovers, you can check out the full recipe at countrycleaver.com. 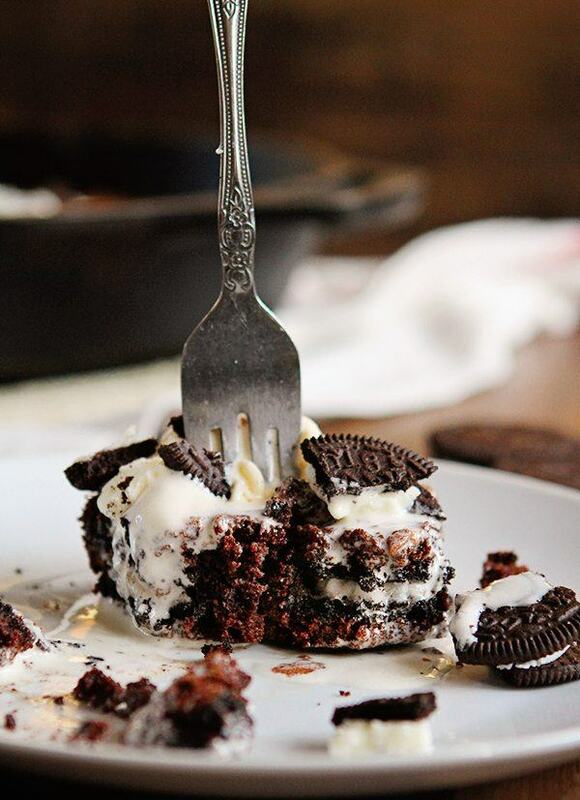 Fudge rounds are pretty popular as a Little Debbie snack but honestly, making your own variation in the kitchen is always going to result in a dish that tastes much better overall. In this case, the recipe comes from macaroniandcheesecake.com and the author was trying to make her own version of the Little Debbie snacks. Just from looking at the image, I would say that she managed that goal really well. This recipe is another example of making chocolate brownies exactly right. I found the recipe at jessicainthekitchen.com and I was shocked at just how many different people have commented on the recipe, with most people loving the way the brownies end up. 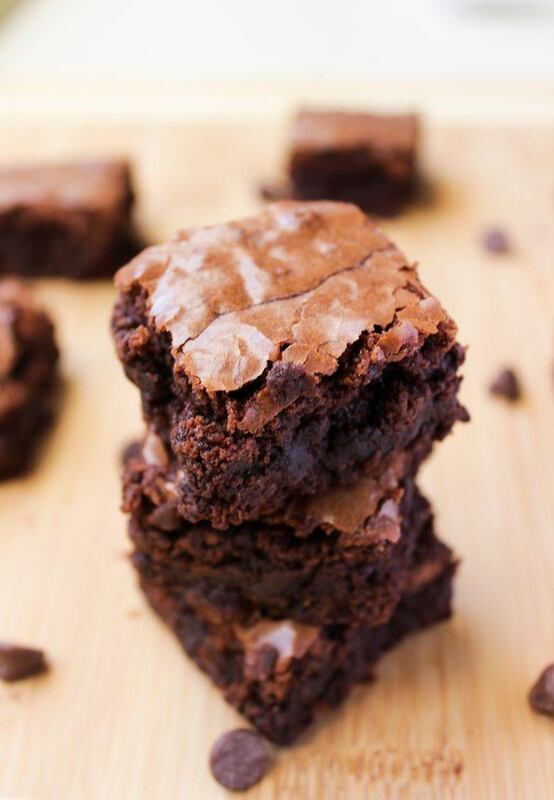 I think these brownies would work exceptionally well for anyone trying their hand at making brownies themselves. 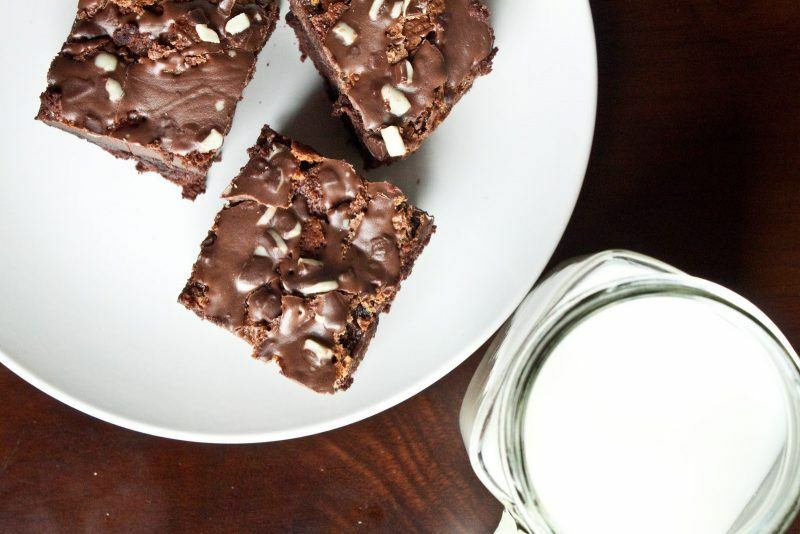 The author does also provide links to a few other chocolate brownie recipes in case you are looking for a brownie that is a little bit more unusual. If you want to make chocolate cupcakes more interesting, having ganache filling does seem like a great way to go. After all, chocolate ganache is amazingly rich and chocolaty to start off with. 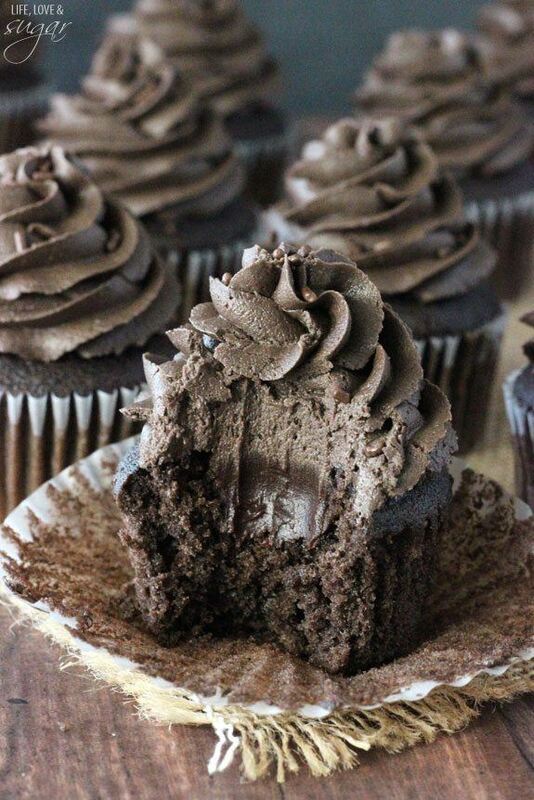 The filling is also a great way to surprise people, because there isn't any visible indication of the ganache before people bite into a cupcake. The recipe itself comes from lifeloveandsugar.com, so you can head over there if you want to check it out. One other appealing thing about this recipe is that it is made in a single bowl, which would make washing up incredibly simple. 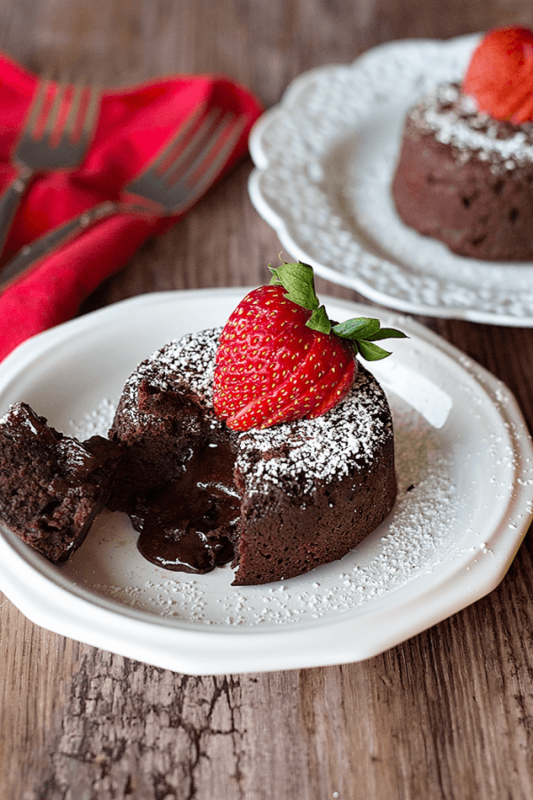 Chocolate lave cakes are the ultimate option for anyone who loves chocolate. You get the taste and the texture of a chocolate cake, along with the warm and gooey center that spills out when you cut into it. In this case, the recipe comes from unicornsinthekitchen.com. Now, this type of recipe is a little bit complex to make, especially the first time you try it. However, this is something that gets easier as you go along. The dessert also has the advantage of being pretty fast to create. So, you can keep the ingredients in your cupboard just in case you have a chocolate craving. In fact, the recipe uses pretty common ingredients, so you probably already have all of them at hand. I certainly can't do a recipe on chocolate without mentioning at least one chocolate pie. To me, this type of pie is so much more appealing than any fruit-based pie but I'm probably a bit biased on that count. Regardless, the recipe for this pie comes from recipegirl.com and the recipe is pretty easy even for people that don't make pies often. 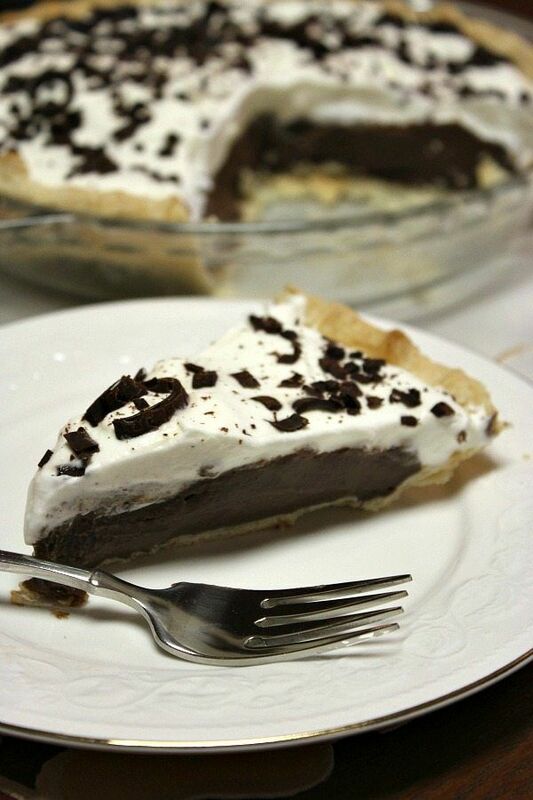 Chocolate pie also tends to be a very popular dessert, both for kids and for adults. So, it is one recipe that you should probably try at least once. 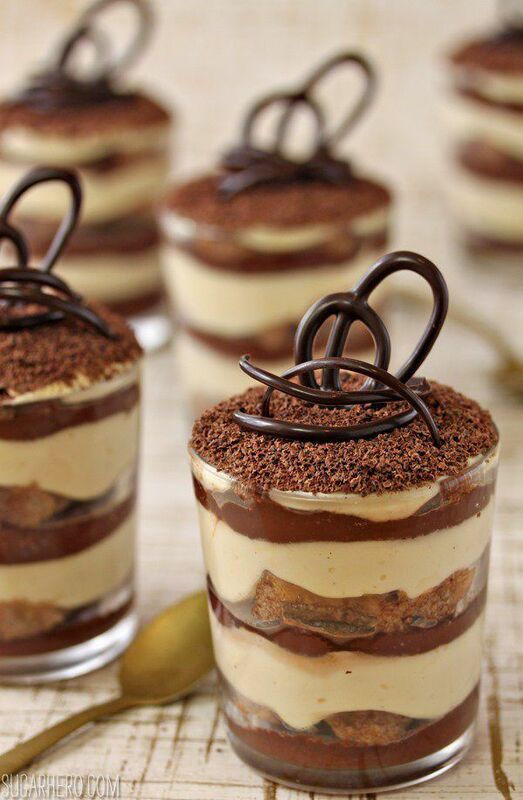 One of the best things about a tiramisu is probably how the dessert looks, especially when you serve it in little glasses like this. This tiramisu is a little different than most because it doesn't actually use espresso. Technically that means the dessert probably isn't a tiramisu but, who cares? Instead of espresso, this recipe uses hot chocolate. Doing that would make the recipe even more chocolaty than normal. Plus, it would mean you could serve the recipe to kids and to anyone who isn't especially fond of coffee. You can find all the details you need to make this one at sugarhero.com. 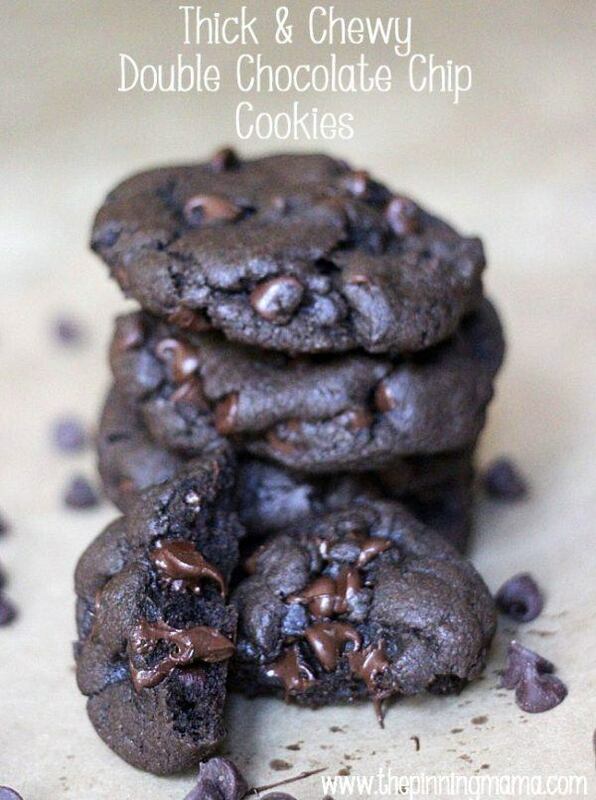 If you love chocolate cookies, then this recipe is a great one to try. It comes from thepinningmama.com and the cookies are rich, thick and chewy, which sounds like a pretty perfect combination to me. 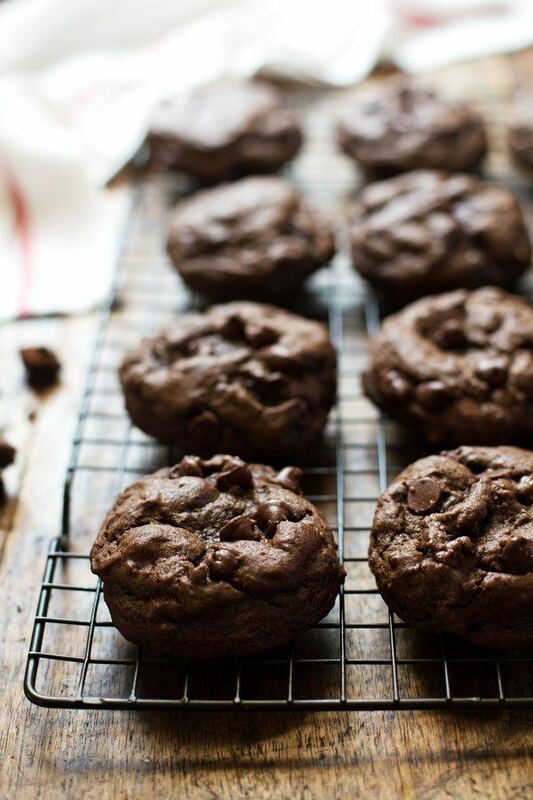 To be honest, if you love chocolate, having double chocolate cookies really is the only way to go and this recipe seems like a really good way to get great cookies to satisfy any chocolate craving. 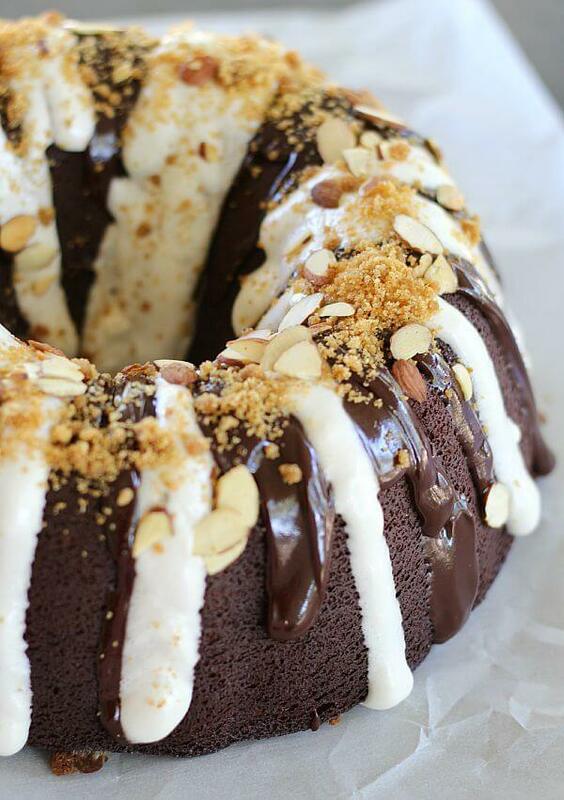 Thanks for sharing my Chocolate Smores Bundt Cake. There are a lot of chocolate deliciousness here that I can’t wait to try! You’re welcome Sally! 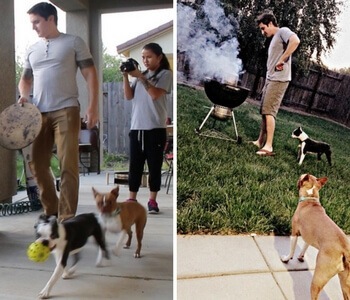 I hope we can feature you in future posts as well!